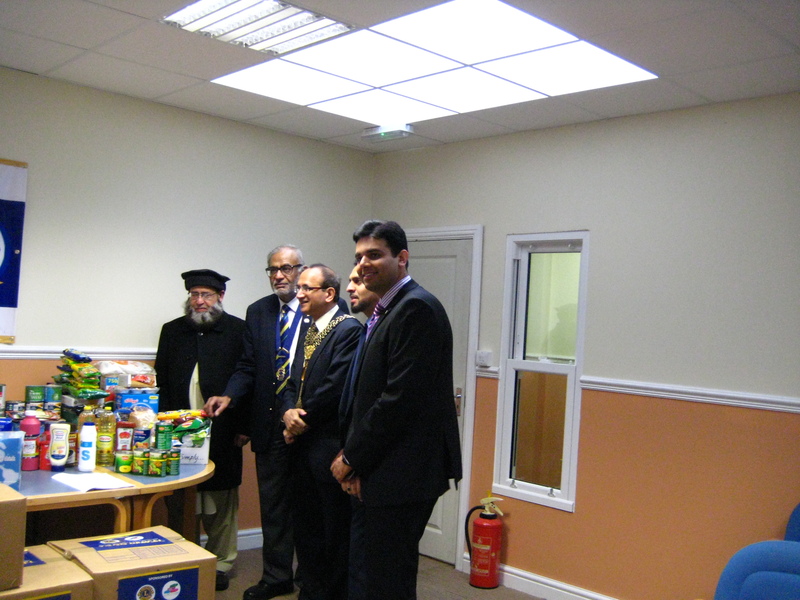 Save the Mothers trust has teamed up with Bradford Lions Club to launch it’s very own food bank! 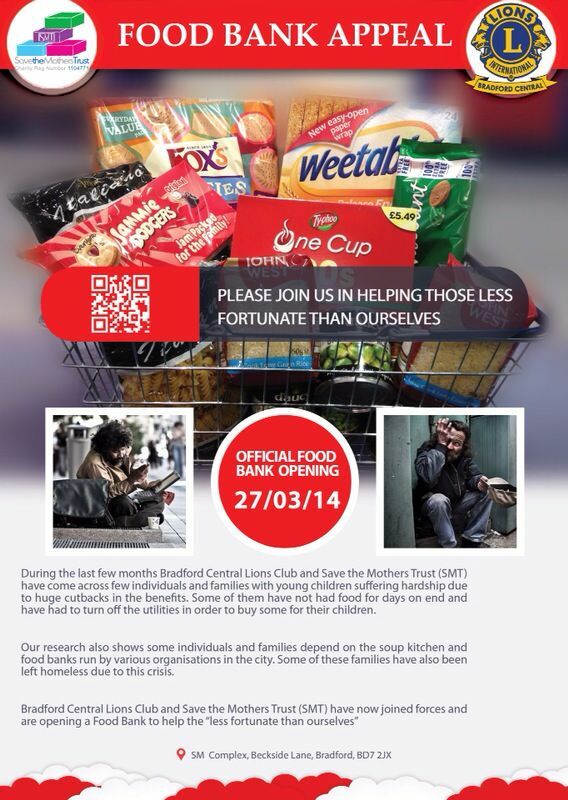 The Food Bank, launching this Thursday (27th March 2014), aims to provide much needed food for those in the community that have been affected by recent benefit cutbacks. The Number of families relying on food banks in Bradford drastically increased in July, 2013, the monthly food parcel distribution rose in from 109 in 2011 to 722 in 2013. This number is predicted to increase this year. So, who are the Bradford Lions? Bradford Lions Club is an organisation that originated back in 1917, by a 38-year-old business leader from Chicago, USA, called Melvin Jones. Mr Jones told members of his local business club that they should focus, not only on business issues, but address the betterment of their communities and the world. Mr Jones’ business associates agreed. Within three years, Lions club became an international organisation. Since then the organisation has earned high marks for both integrity and transparency. The organisation is very well-run and has a steady vision, a clear mission and a long history of helping many local communities. The new Bradford Lions club was formed and chatered in Bradford on the 1st of June 2013. The club has been working alongside Save the Mothers Trust since then to ensure the needs of those less fortunate in the community, are met. Agencies are requested to complete the referral form and email it to us by Wednesday afternoon in order for us to prepare the parcel for collection on Thursday.